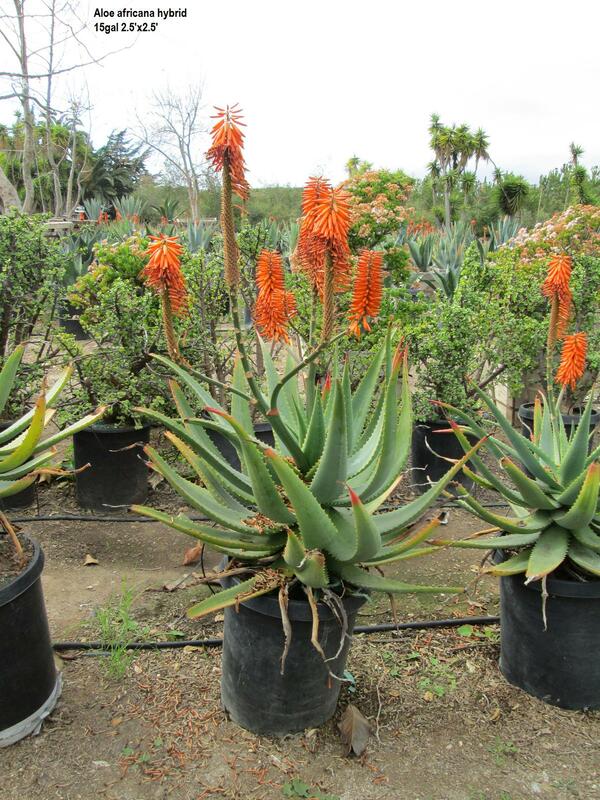 Aloe africana hybrid - Jimenez Nursery, Inc.
A fast growing succulent that has waxy green leaves which are edged with spines. In cold weather the leaves are tinged with red. 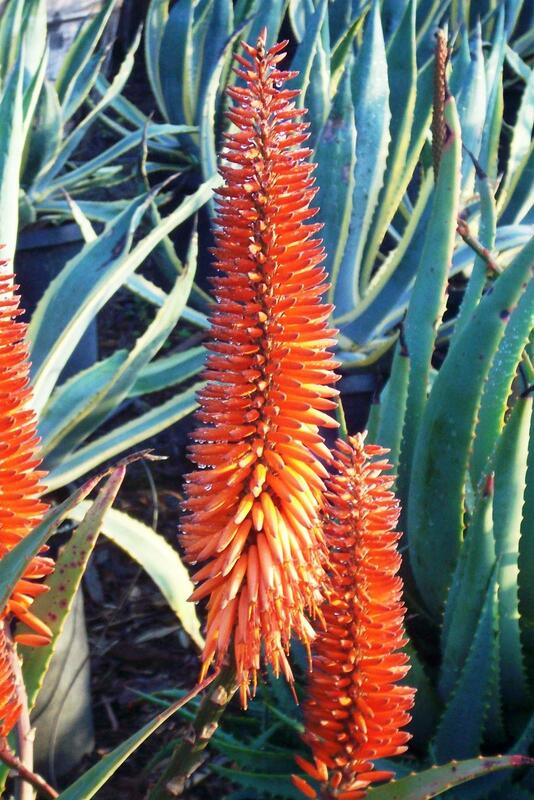 In early winter this plant sends up spikes of showy orange inflorescences. 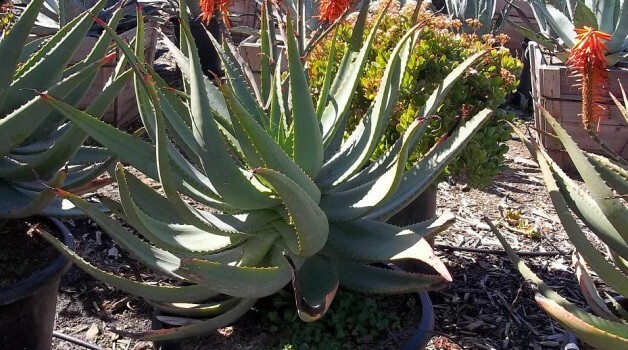 Best Uses: In a succulent garden. 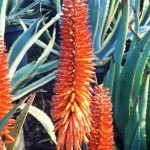 Also can be planted in pots. 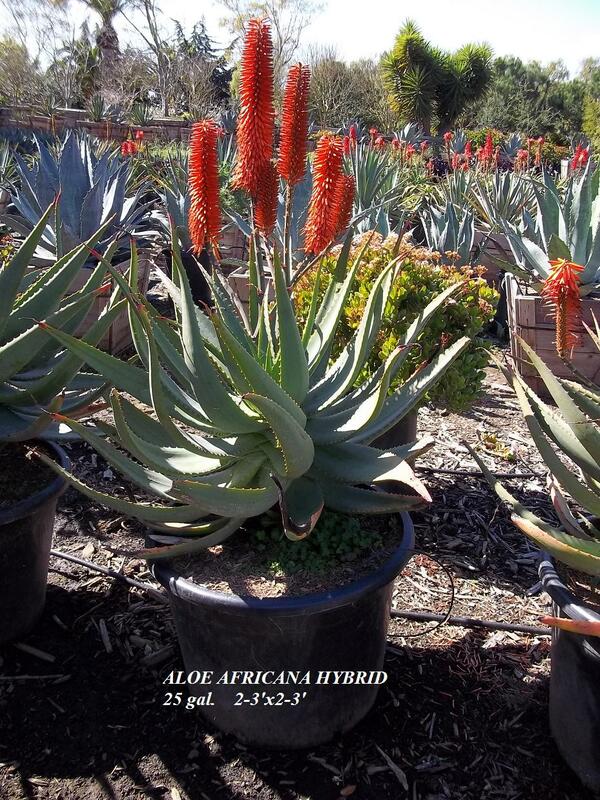 Recommended Placement: Protect from frosts. Will tolerate coastal conditions. Optimal Soil: Well drained sandy loam.